Eres Tu Papa (Is That You?) 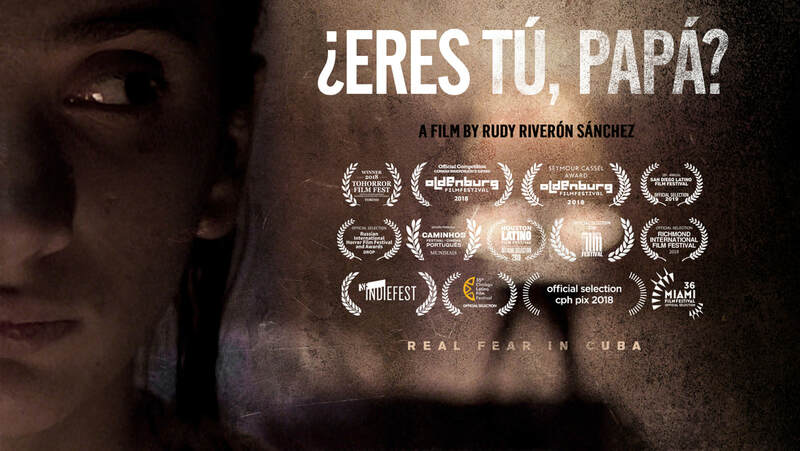 is the first psychological horror film to be made in Cuba. Written and directed by Rudy Riverón Sánchez. ​When her father goes missing, 13 year old Lili uses a spiritual ritual to find him but she gets it wrong and her life turns into a nightmare. ​Living in a modest shack in the Cuban countryside, thirteen year old Lili and her mother appear trapped in a meagre, suffocating existence by her domineering father, Eduardo. His sudden absence should represent a new freedom for the girl and her mother, but Lili is distraught, and we come to discover just how strong the influence of this monstrous man is over his family. In desperation at losing Eduardo, Lili carries out a ritual taught to her by a spiritualist to help bring him back, leading Lili to uncover a disturbing truth about her father’s disappearance.